Kent Gerlach, EdD has been recognized nationally for his contributions, research and publications on topics related to paraeducators, including paraeducator employment, training, supervision, evaluation, and legal and ethical issues. He has presented numerous professional development workshops for teachers, paraeducators and administrators throughout the United States and Canada. In addition, he has served as a keynote presenter at numerous educational conferences and meetings. 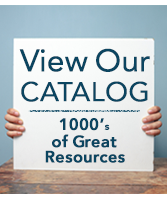 Gerlach has co-edited several articles, book chapters, and professional development materials dealing with the roles of paraeducators and their supervisors. He co-authored the texts Supervising Paraeducators in Educational Settings and Paraeducators in the Schools, both published by Pro-ed, Austin, Texas. Currently Gerlach is a professor in the School of Education and Kinesiology at Pacific Lutheran University (PLU) in Tacoma, Washington. He has held faculty appointments at the University of Washington (Seattle), University of Texas (Austin), University of Hawaii and Augustana College (Sioux Falls). He is the recipient of several teaching awards including the PLU Faculty Achievement Award and the PLU Teaching Excellence Award. Gerlach currently serves as a consultant to the Washington State Office of the Superintendent of Public Instruction and the Washington State Professional Educators Standards Board. He is also an educational consultant with Pacific Training Associates in Seattle, Washington and has served as consultant to several national organizations including the Council for Exceptional Children (CEC), the National Education Association (NEA), American Speech and Hearing Association (ASHA), the IDEA Partnerships, the U.S. Department of Education (OSEP), Recruiting Teachers, Inc., Boston, MA, and the National Directors of Special Education (NASDE). Gerlach serves on the Editorial Boards of the Council for Exceptional Children (Division of Autism and Developmental Disabilities (DADD) and the Teacher Education Division (TED) and the Thompson Publishing Group, Title One Monitor. His book Let’s Team Up! 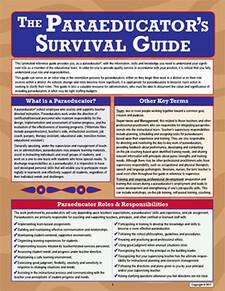 A Checklist for Teachers, Paraeducators and Principals is published by NPR, Inc.